There are no words to thank you enough for your kindness, your friendship and your love of Ghost Ranch. It has been a tremendous privilege for me to serve as your Executive Director since April 2008 in times of laughter, in times of floods and other challenges, in times of transitions and in all seasons of your lives and mine. I have been blessed to have known you and to be part of your family. I will continue to keep the staff and guests of Ghost Ranch in my heart and in my daily prayers for unprecedented success and blessing in every single way. I have always been assured that God will keep the ministries of the Ranch alive and well and always thankful that God put me in this particular time and place, to cross paths with thousands of very special people, and to serve in this most special way. Since the announcement of my retirement, I have been inundated with letters, cards, emails, calls, personal visits and get-togethers. All of your thoughts, actions and gifts of love to me and to Jim personally and to the Ranch are such valuable gifts of joy to us and are appreciated more than you will ever know. Thank you from the very, very bottom of my heart and soul. Mary Martinez has stepped in as Acting Executive Director. 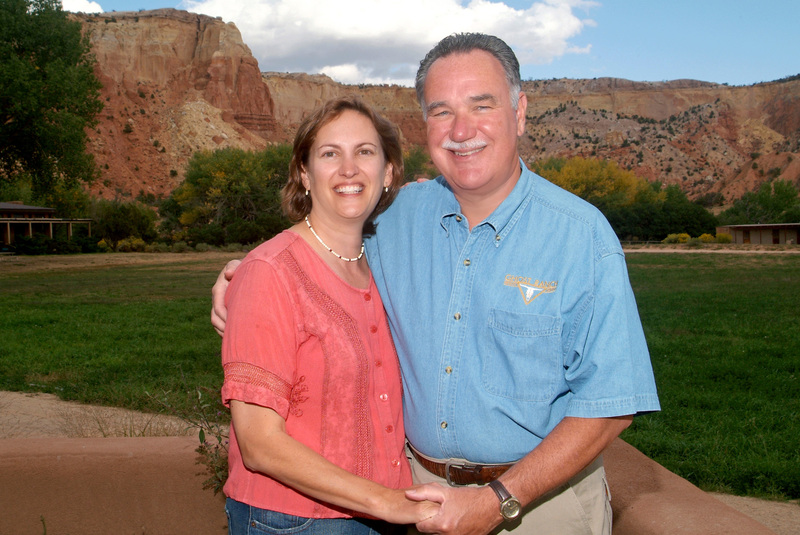 Her contact information is marym@ghostranch.org, phone 505.685.1000 ext. 4148.